Home » Salad Recipes » Chinese Crunch Salad – a crisp salad with an oriental dressing is perfect for a summer afternoon. You will not be able to stop eating this salad. 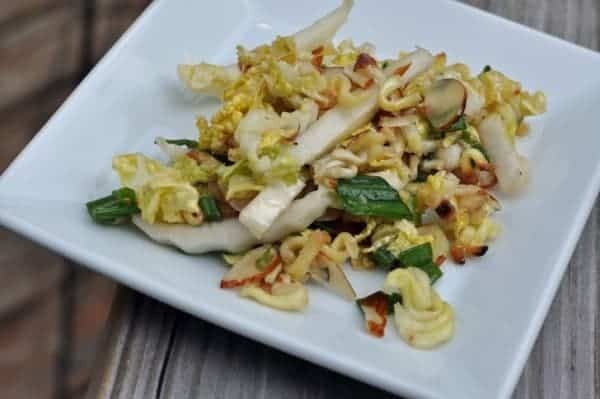 Napa cabbage is the base for this salad, so it is nice and crisp, and remains crunchy. The Ramen noodles in this salad help to provide a wonderful crunch. Thanks to Johnny50 for sharing this salad recipe.